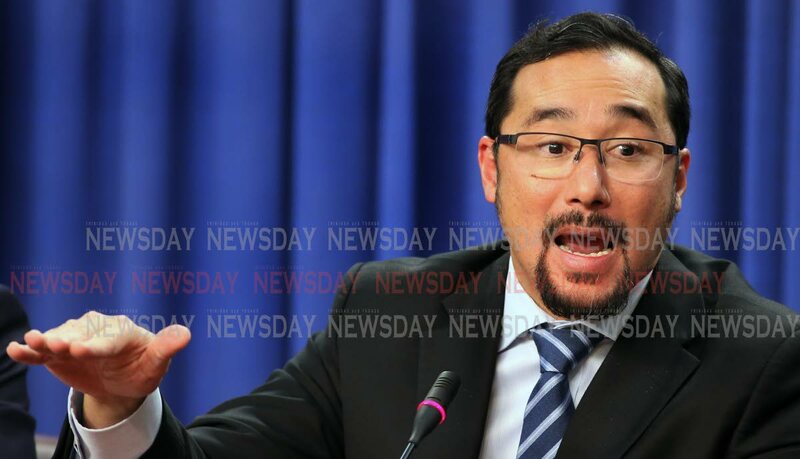 NATIONAL Security Minister Stuart Young says half of the $80 million requested by Commissioner of Police Gary Griffith has been released by the Finance Ministry. He was responding to an urgent question in the Senate yesterday from Opposition Senator Wade Mark, who asked, in light of reports the Police Service is unable to procure critical goods and services because of a lack of funds, when the situation will be rectified. Young said, as had been stated by the Finance Minister, he had a request from the CoP for about $80 million. “Twenty million has been released and another $20 million was supposed to be released (yesterday) and the other $20 million will be released by the end of the month. And the further 20 next month. So...half of the money has been released." Sources close to Griffith had previously informed Newsday that despite Imbert’s claim that $20 million had been released, up until Monday the money had not reached the account over which the CoP has direct control. Sources said there have been no releases to the police financial branch to meet expenses including paying for weapons such as Tasers and pepper spray, recently advanced by Griffith as a non-lethal alternative to guns. Reply to "Young: Half of $80m for CoP released"